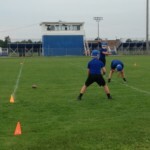 KALKASKA – The Kalkaska football program is ushering in a new era under first-year coach Josh Bigby. 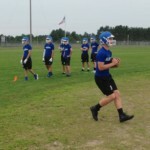 The Blazers are coming off a 4-5 season after posting consecutive winning campaigns and three playoff appearances since 2012. 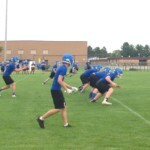 Bigby previously served as an assistant coach with the Clare football team that reached the 2009 MHSAA Division 5 title game. Bigby’s most recent coaching position was in Oklahoma. Bigby has brought a wide-open passing attack with him to Michigan. 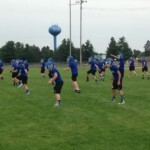 Kalkaska opens its season on the road at Pine River on Friday, Aug. 24. 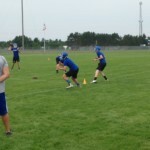 The Kalkaska football program is ushering in a new era under first-year coach Josh Bigby.